Today is International Women's Day...and my baking pin has been rolling in resistance and resiliency. The morning of January's Women's March, in collaboration with my fellow wondermaker, we brought together nearby wonder warriors (a.k.a. just simply awesome and amazing women & allies), baked 200+ cookies and handed them out at the march. As all the Women's Marches were being organized around the country, I contemplated joining friends in larger cities that day. 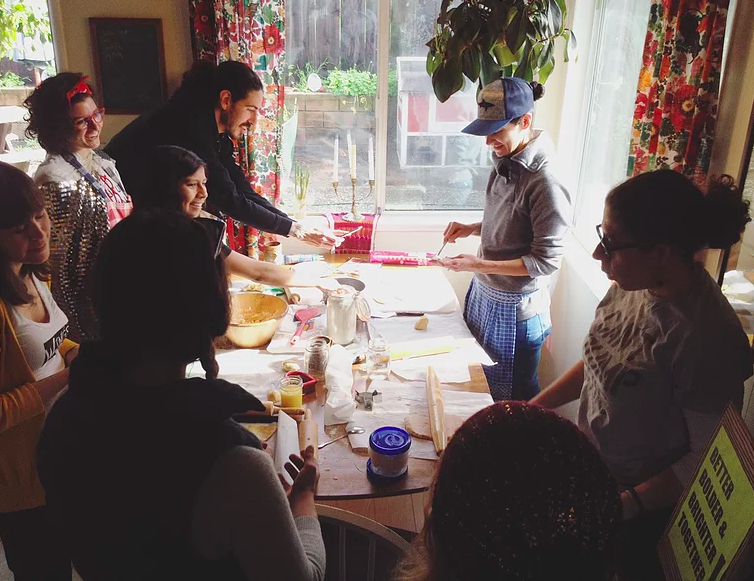 Baking all these cookies in community reaffirmed I was exactly where I was supposed to be: creating togetherness with the women I've been growing and building with locally here in Santa Cruz. It felt not just good, but powerful to connect and surround ourselves with such supportive energy that morning. 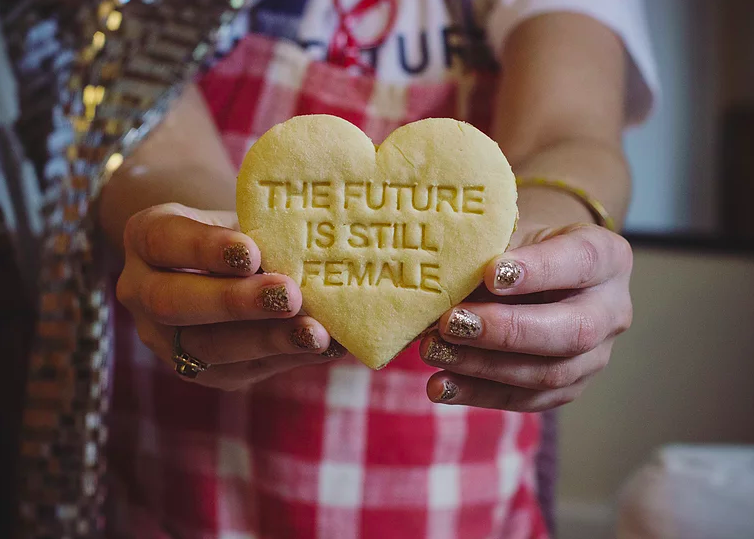 As International Women's Day has been approaching, its been important for me to get this cookie cutter floured up again and for these sweet treats to go further. This time: my girls across the country. (keeping fingers, toes & forks crossed that these make it without crumbling). I really don't know where I'd be if not for strong, inspiring women I've been so fortunate to have in my life. Though I can't send cookies to all of them, today I honor each and every one of them. and celebrate not just my cis-sters, but ALL sisters, resisters, uplifters & persisters. Beyond being International Women's Day, today has also marks A Day Without a Woman and the International Women's Strike. There has been some strong debates surrounding how woman can partake in today's call of action. It's brought up some confusion and mixed emotions for myself in terms of the active role I want to contribute. Nonetheless, I think it's good these thoughts, arguments and conversations are happening. We can and should challenge the value and obstacles behind forming large scale protests and social movements-----I tend to side on any action is better than inaction. When did Solidarity with Working Women Become a 'Privilege' <--- This resolved a lot for me. Also note: there are are so many ways to practice resistance beyond taking the day off of work today. Support, show up and rise up however you can. What 'A Day Without A Woman' Can Learn from The Implosion of Pantsuit Nation <--- Some great lessons here. Creating social change is not about making social *$cha-ching$* change. Also makes me think: what if we didn't have social media today? How would communication between these political movements unfurl? How Jezebel Will Participate In the Women's Strike <--- Well, this is just awesome. What An Actual, Literal Day Without a Woman Would Look like <--- this is also just great and amazing. Inside the Statue of Liberty's Radical Feminist, Pro Feminist Roots <--- Some great & inspiring information on the history behind the making Lady Liberty, and a reminder that Lady Liberty's doors MUST remain open. What Good is a Book Club When the Sky is Falling?